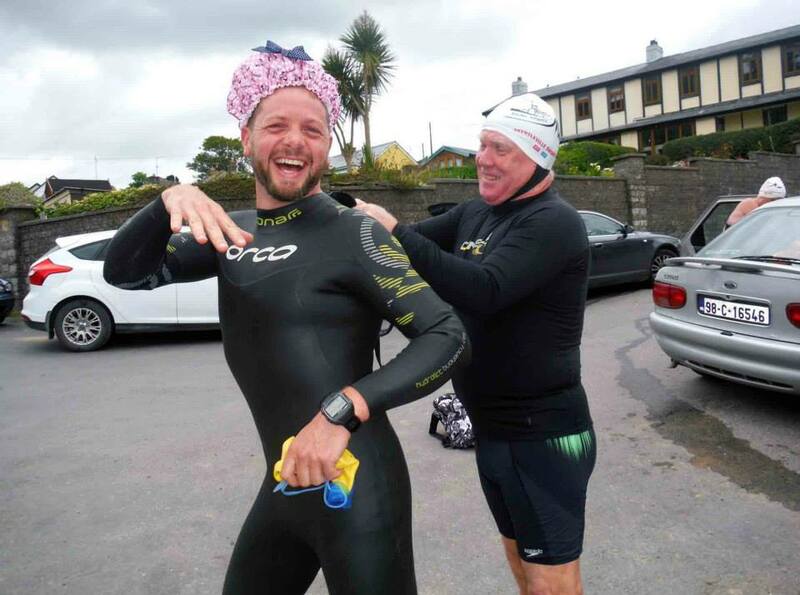 Pat Lowry has been a great addition to Myrtleville Swimmers all year, preparing for his Ironman in Mallorca next Saturday. Best of luck, Pat, from everyone in Myrtleville. You’re already a lead candidate for “pose of the year” so keep up that level of effort and attention to detail on Saturday. 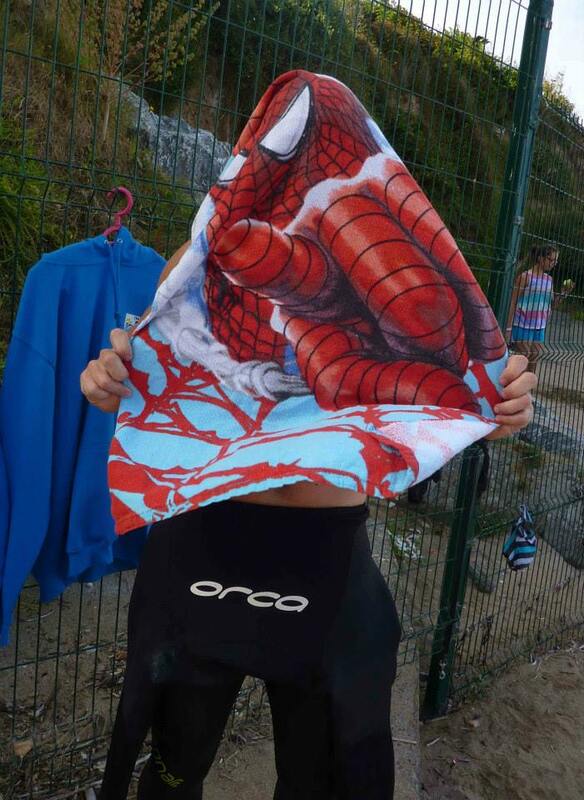 You could meet anyone around Myrtleville. Look who broke out of the cage. Pat “Mr. Pink” Lowry in one of the designs for the new hat Rob Bohane has commissioned. Pat Lowry on his last Saturday morning swim before his Ironman on Saturday, September 27 in Mallorca. Gary Frost indicates expected position out of the water. 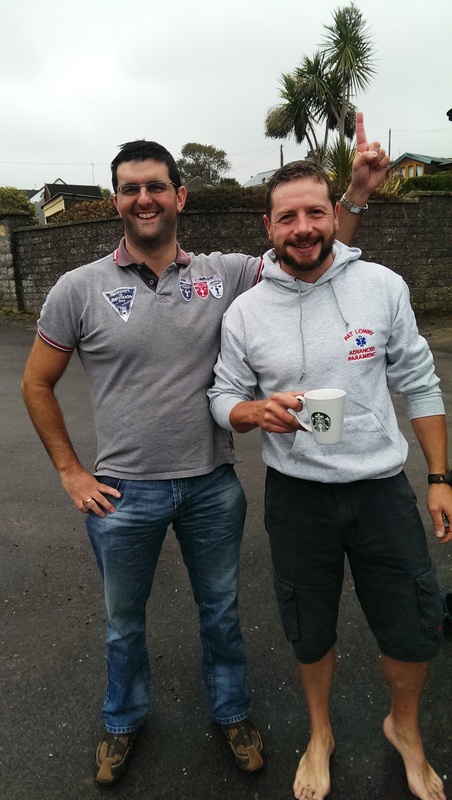 This entry was posted in Information and tagged Ironman, Open water swimming - Cork - Ireland, Open water swimming events, Open water swimming races, Sea Swimming - Cork - Ireland by myrtlevilleswimmers. Bookmark the permalink.